All the sections were built with DIVI modules – Fullwidth Slider, Blurbs, Text. Gravity Forms was used for creating the Contact and Scheduling pages. 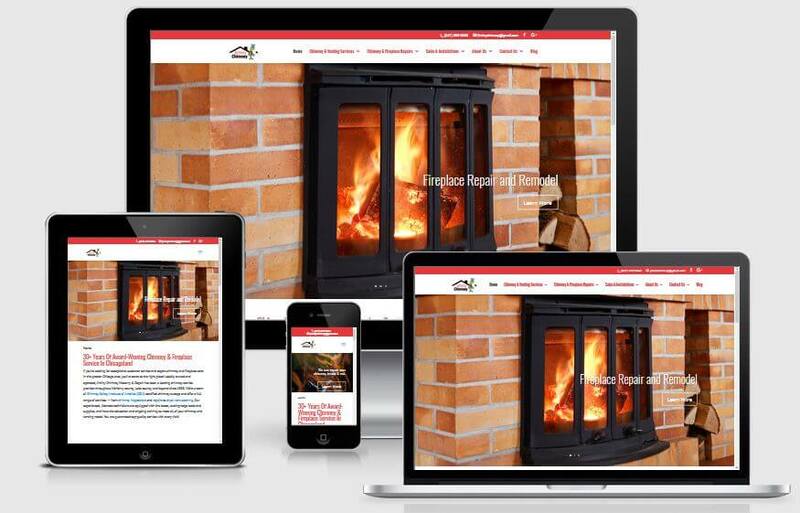 This is a responsive website for a Jiminy Chimney, which does chimney and Fireplace repairs and installations. The goals were to have a Multi page website with breadcrumbs, SEO, Banners, Service areas, contact and appointment forms using Gravity Forms. Jiminy Chimney Masonry & Repair has been a leading chimney service provider throughout McHenry County, Lake County, and beyond since 1985. They are a team of Chimney Safety Institute of America (CSIA)-certified chimney sweeps and offer a full range of services – from chimney inspections and repairs to dryer vent cleaning.